The custom of the day changes over time: 5 years of marching in the morning, followed by curlers and clothing changes, and heading over to Grandmother’s house with a slightly burnt tongue from the Bandparent’s hot chocolate and an evil-smelling corsage held together only by the netting around the blue-dyed mum…. 10 years or so of rushing home from one University or other, suffering from car-lag and wondering how all the semester’s projects were going to get wrapped in the few days remaining ….we won’t count how many years of student portfolios, reports, and home observations of holidays, all stacked and glowering in a corner while I tried to focus on being with family for a few hours…. Today we get in a car, drive over several rivers, and into the woods, and arrive at a house where the family has adopted me. We will eat, make merry, talk about work (! ), and maybe go looking for fossils. I’m grateful for everything. Blessings to you and yours, however far away, this holiday. 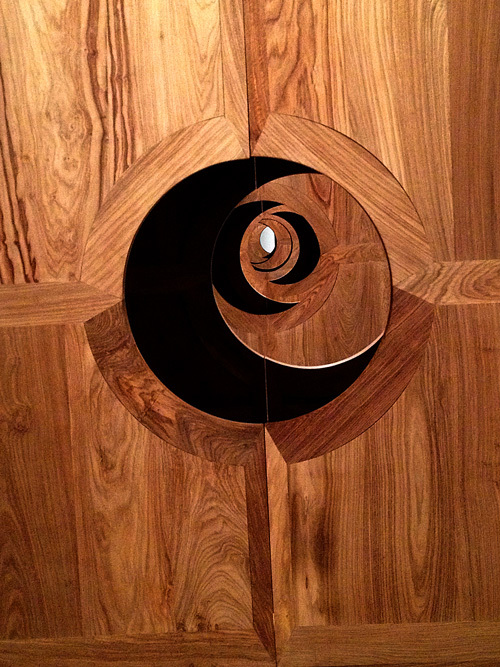 Ai Wei Wei’s Moon Gates: thick teak panels with successive cut-outs that show the phases of the Moon in light and shadow. 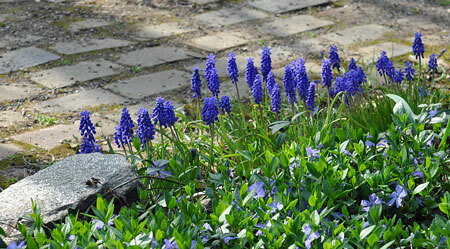 Pathways can get so cluttered; it’s nice to occasionally see ones that are both clear and beautiful.